Two terms should be the limit for any president. I don’t want to be there when I’m 80.
the new composition of the FINA Executive, now comprised of eight members (until 2017): FINA President, First Vice President, FINA Honorary Secretary, FINA Honorary Treasurer, and four Vice Presidents. As of 2017 onwards, the FINA Executive will include: FINA President, First Vice President, FINA Honorary Treasurer, four Vice Presidents and one more member to be nominated by the President. „The recent successes of FINA have always been made with your support throughout the years and successive Congresses. 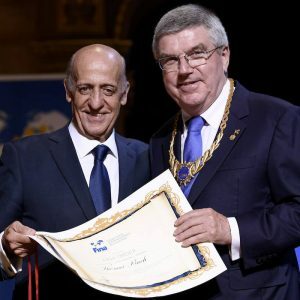 FINA firmly believes that Sport is the key for a better and peaceful world, highlighting the values of a healthier lifestyle, social inclusion and fair-play, in a spirit of friendship and respect“, said the man who gains much from the moves and has campaigned endlessly to make sure he might still be in the hot seat in his 80s having dethroned the past president on a promise of two-terms only: Julio C. Maglione, of Uruguay. I am happy that we all share these values and, united like a family, we work together to achieve our objectives. Cue tears for the self-serving. 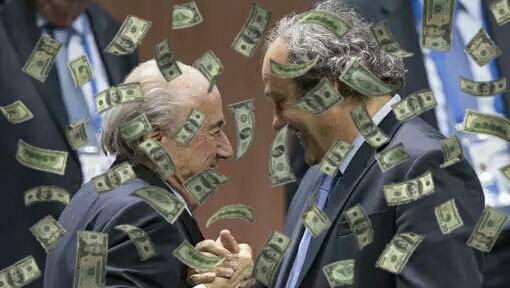 Pure politics and dollars, of course. Maglione is a member of the International Olympic Committee (IOC), a body that has imposed age limits on office – moves that Maglione has actually supported. But not when it comes to FINA (the body bent on discrediting its critics, false PR and to be found throwing money at such exercises this season) and his own position, nor are those around him pressing him to do the right thing, lest they should rock the boat they want to stay on. The influence in swimming of the Middle East, a region with much work to do when it comes to developing swimming programs, let alone women’s swimming, in accordance with some of the key objectives of FINA, has grown beyond recognition in the past few years. That has coincided with the arrival on the swim scene of one of the power brokers of world sport, Sheikh Ahmad Al-Fahad Al-Sabah. His image was shaken of late following a public falling-out within Kuwait’s ruling family after a corruption case backfired. 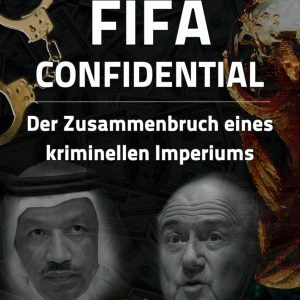 Sheikh Ahmad was decisive in the elevation of Sheikh Salman Ebrahim Al Khalifa to the leadership of the Asian Football Confederation in 2013; he was also influential in supporting Thomas Bach when the German won the International Olympic Committee presidency that same year. However, Sheikh Ahmad was forced into a public, televised apology to his uncle the Emir, Sheikh Sabah Al-Ahmad Al-Jaber Al-Sabah, of late. In March Sheikh Ahmad was to be found in Male for talks with the Maldives’ President Abdulla Yameen and for an Olympic Solidarity commission meeting to discuss worldwide allocation of development funds for 2017-2020. A week later back in Kuwait, the prosecutor’s office threw out accusations by Sheikh Ahmad against a former prime minister and a speaker of parliament. He had claimed that ex-PM Sheikh Nasser Al-Mohammad Al-Ahmad Al-Sabah and former speaker Jassem Mohammad Abdul-Mohsem Al-Karafi had plotted to topple the Kuwait government and, further, had conspired over money laundering and misuse of public funds. I offer my deep apologies and express my profound regrets for my recent prejudice, abuse and slander, intentional and unintentional, and which were based on the information and documents concerning the interests of the country that I had received. I thought the information was correct and credible. But now that the competent judicial authorities affirmed they were not valid or correct, stressing the truth is a virtue. As I seek pardon from Your Highness, I stress that what happened will be a lesson from which I will benefit and draw appropriate conclusions. I am in full compliance with the orders and directives of Your Highness and I promise to turn the page on this matter and not to raise it again. 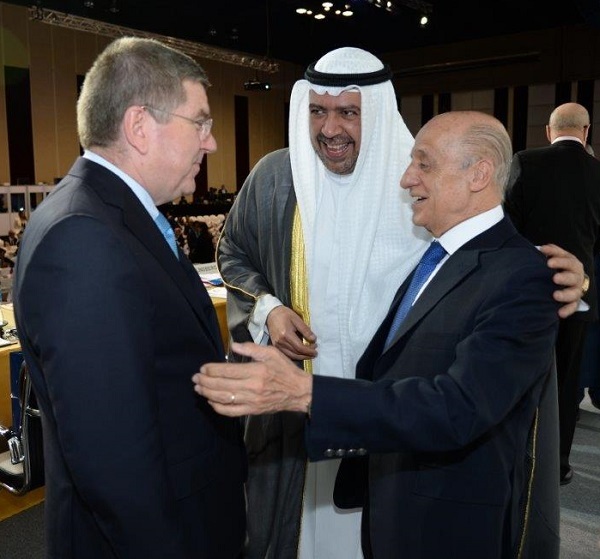 Sheikh Ahmad was the guest of honour at the FINA World short-course Championships gala dinner last December in Doha. 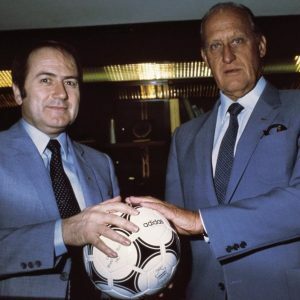 His support is said to be valuable to the moves of Julio Cesar Maglione to have the FINA Constitution changed to allow him to have a third term in office as FINA president. Maglione came to the top chair in 2009 on a ticket of „two terms only“, a move steeped in criticism of Mustapha Larfaoui, the Algerian then incumbent who had been in the top seat for 20 years. Just why Maglione and FINA, run on a day-to-day basis by Executive Director Cornel Marculescu, would wish to go back on the two-term commitment in 2017 may well be explained by a theory doing the rounds in the corridors of power in worldwide swimming. 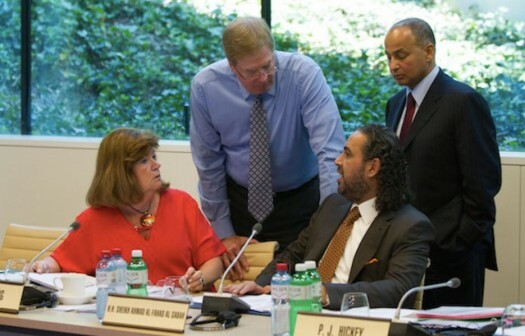 Sheikh Ahmad, a man worth billions, has long been a close friend of Husain Al Musallam, the head of Kuwait swimming, FINA Bureau member, General Director of the Olympic Council of Asia (OCA) among other positions. 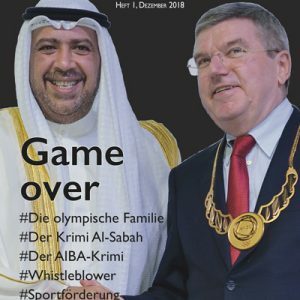 Husain Al Musallam, who presides over a national swim program devoid of any world-class elite program fit to make any impact of note in global waters, is an ordinary Bureau member and not a man in line for the FINA presidency as things stand. 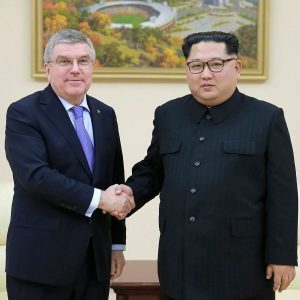 Leading figures in world swimming believe, however, that he is being groomed for the role and that Maglione, beyond winning a third term, would step down mid-term, a move that would require a „temporary“ president to take up the reigns. 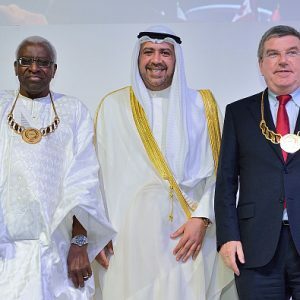 The argument might well then be that the vice presidents of FINA, the natural contenders for the presidency, would step aside with a nod to fairness in the battle for the presidency ahead. In the void, the coronation of the member from Kuwait would elevate him to a new status – one that would carry a shot at the presidency himself. Such is the talk among the political classes in swimming. The vote in Kazan today puts in place the very mechanism by which the outcome may be precisely that being suggested. At the same time, there is a swell of opinion in swimming that the head of FINA ought to hail from a nation that boasts a world-class swimming program. That has yet to make it to the voting chamber at a time when private discussions are rife about what kind of organisation should follow the days of Marculescu when the Romanian moves on after three decades in charge of HQ. All of that is the talk of swim politics at a time when FINA’s leadership has refused to engage with coaches and others calling for a review of the international federation. What is the point of putting out such a statement? Somewhat lacking in detail – perhaps because the details would be somewhat media-unfriendly to say the least. More shuffling of the chairs on the deck of the Titanic. And all of that supported by USA Swimming on the back of a presentation that the American Swimming Coaches Association tore a strip of lately. 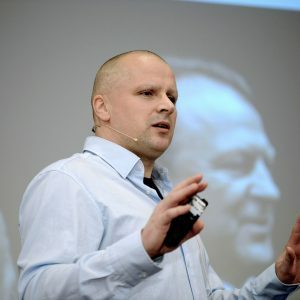 Craig Lord is a sports writer for The Times and Sunday Times and Editor of SwimVortex, where the analysis was published on July 23th. Read the background to the politics of FINA in our collation FINA Future, including schism in the pool and why coaches and athletes and others around the world are working to replace the international federation if it fails to change course (today shows precisely that it has no intention of even chugging its way to a new course). Ach ja, poor Ahmad. 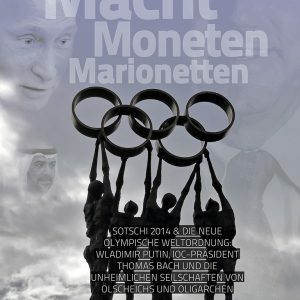 Da bricht gerade ein olympic empire zusammen.